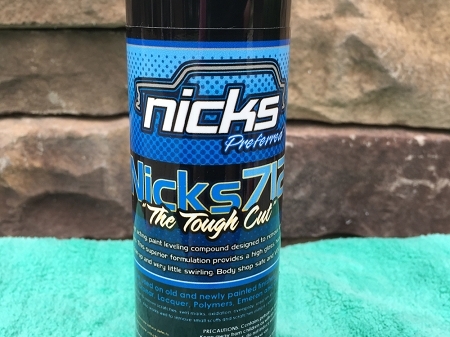 A modern, fast acting paint leveling compound designed to remove 1000 grit or finer sand scratches. 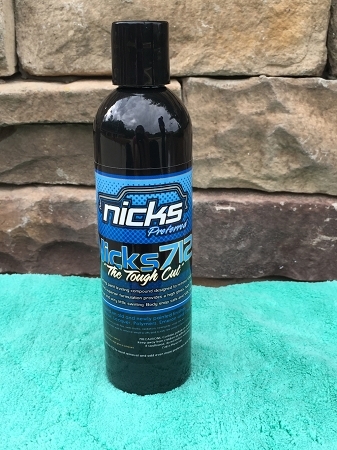 This superior formulation provides a high gloss, haze free finish with easy clean-up and very little swirling, Body shop safe and VOC compliant. 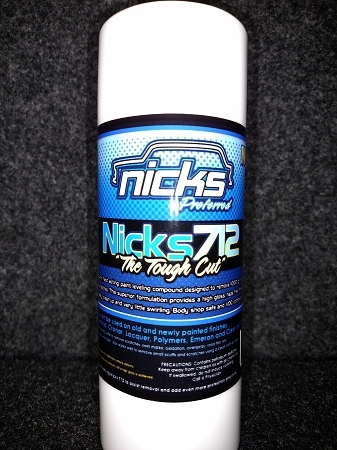 NICKS 712 can be used on old and newly painted finishes. 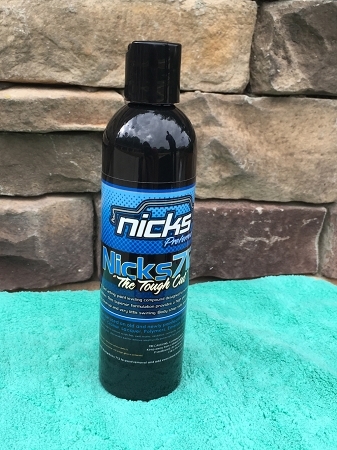 Clear Coats, Enamel, Acrylic, Cronar, Lacquer, Polymers, Emeron and Clean Jell Coat. Apply product evenly to a 2 ft x 2 ft area. Using a rotary polisher, slowly buff using an overlapping pattern with enough pressure to eliminate surface defects. As the compound materials diminishes, finesse the paint surface, progressively using less pressure until a high gloss is achieved. Use a wool pad for cutting and a finishing pad or terry pad for final polish.